Specializing in Real Estate and General Litigation, Nathan focuses on complex commercial and real estate litigation in Maryland, Virginia, and the District of Columbia. Mr. Bresee is a co-chair of the Firm’s Real Estate Practice Group. His practice primarily concentrates in complex commercial and real estate litigation in Maryland, Virginia, and Washington, D.C. Previously, Nathan had an active trial practice in Silver Spring, Maryland where he defended civil litigation in state and federal trial and appellate courts in Maryland and the District of Columbia involving tort and insurance coverage matters. Nathan joined Jackson & Campbell, P.C. in 2013 and in 2017 he was elevated to the position of Director. He obtained his J.D. from Georgetown University Law Center in 2007. 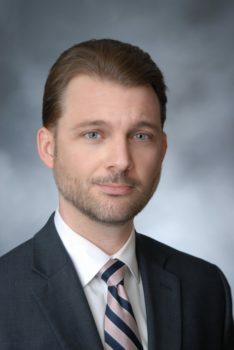 During law school, Nathan worked for the District of Columbia Office of Administrative Hearings, and for Lindner & Associates, P.C., a District of Columbia law firm focusing on commercial transactions and real estate. Prior to law school, Nathan served as a paralegal for the United States Attorney’s Office for the District of Columbia from 2001-2004. Super Lawyers Magazine has named Nathan a Super Lawyer: Rising Star from 2014 to 2019. He also serves on the board of the Maryland Classic Youth Orchestras.